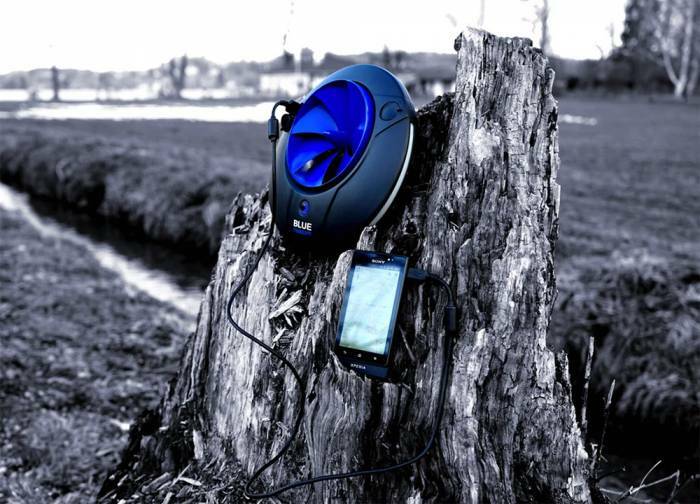 The world’s “smallest, lightest hydroelectric plant” is the newest way to charge your gadgets outdoors. The Blue Freedom works by capturing the energy of water moving over turbines. 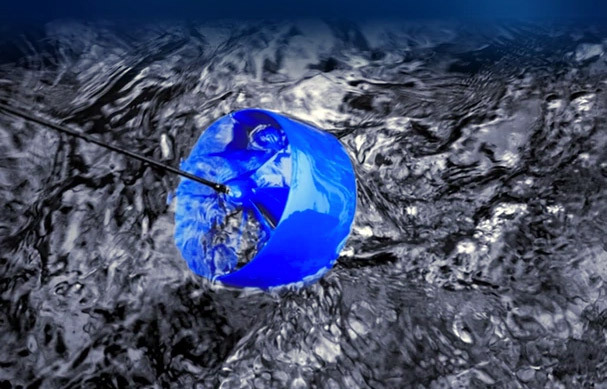 Conceivably, it could be a very strong charging device as moving water is heavy and contains a lot of kinetic energy that can be converted into electricity. This is the first time we’ve seen a portable hydro-electric generator. It’s a unique departure from the omnipresent solar, wood and hydrogen-based generators. The turbine is a small cylinder with fins that is submerged in moving water. It is attached to the charging station via a cord. Once dropped into a stream, water courses through the fins and spins the cylinder to produce electricity. The company states that one hour in the water is enough to power a smartphone for up to 10 hours. We assume this is a best-case scenario as flow rates and water speed would certainly make a difference. The Blue Freedom has an internal battery that can be charged via a wall outlet as well as with the hydroelectric generator. Outfitted with 2 USB ports and an on-board LED light, it weighs less than a pound. Obviously, you need a flowing body of water in order to use the device, but the company says it functions well even in shallow streams. We imagine this would also work while canoeing or kayaking. Just drop the generator in as you’re paddling and let it do its thing. Priced at $319, there are cheaper charging options available, but you can grab one for an early bird price now through the company’s Kickstarter Page.